1 minut. Looped. 2 – d digital animation. 2009. 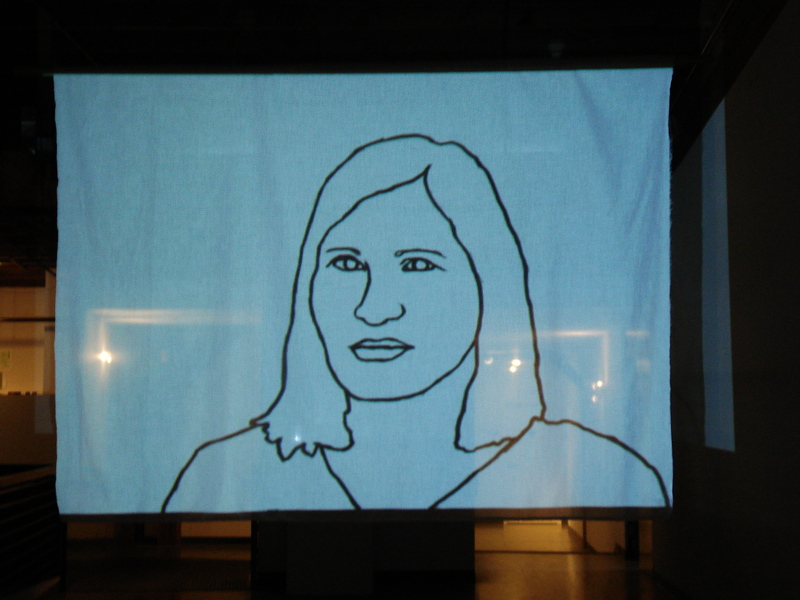 Momenti Mori is an animated installation presented as a free-floating projection on cloth. Memento mori means “Remember you shall die”. The reference is to western art in which the prospect of death serves to emphasize the emptiness and fleetingness of earthly pleasures. 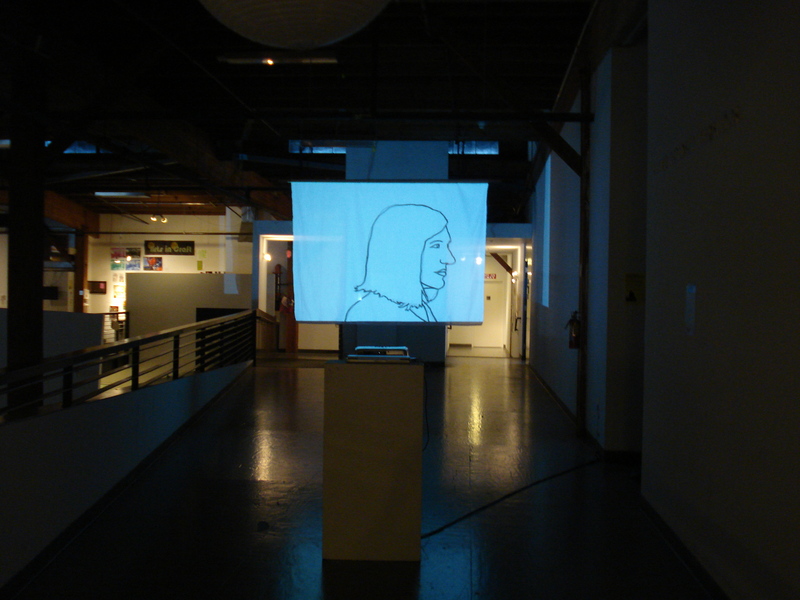 My animation shows an image of a woman’s head and shoulders turning slowly. I have called the piece Momenti Mori referring to the nature of animation, which is a series of still moments. She turns like a clock as if time is running. A fly appears on her face, she blinks, she is “alive”. The fly, suggesting decay, is a little reminder of death. My aim is to engage the viewer with the image and to slow them down to the same pace as the animation, who may then be reminded of the fragility of life.